It is absolutely crazy to me that I’m about to graduate law school! High school went by fast, college even faster, and somehow law school went by the fastest of them all. Since I’m about to finally be done with school after 22 years straight of it, I’ve suddenly become very nostalgic. And with that, I got to thinking about things I’d do differently if I could go back and do it all over again. 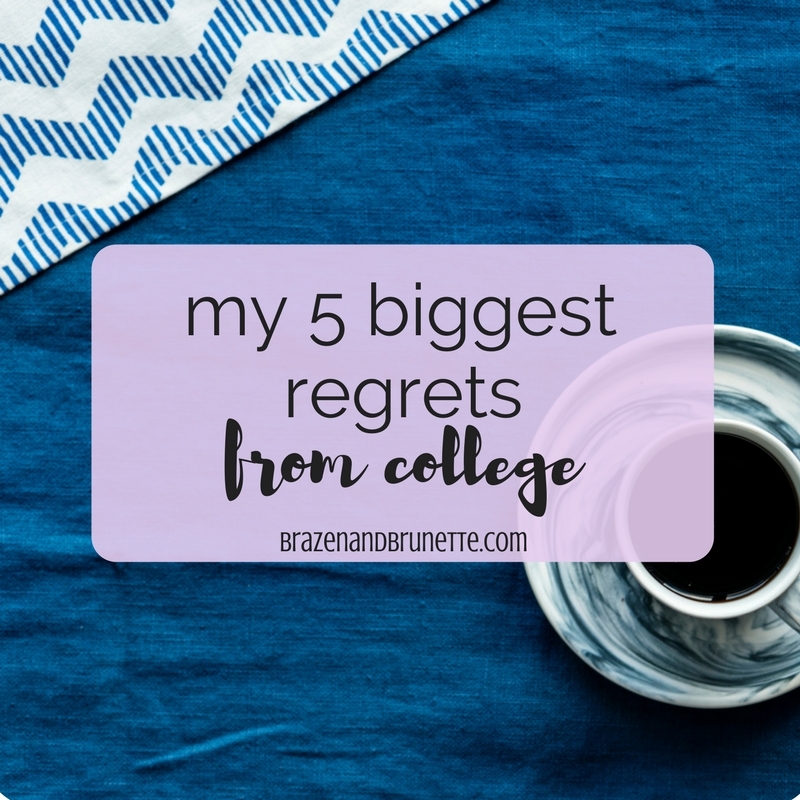 For time’s sake, I’ve narrowed it down just to 5 regrets I have about college. Hopefully this will give some insight to some bright-eyed freshmen and a wakeup call to any upperclassmen so you can have less regrets than I do. Although that isn’t to say that I don’t love looking back on my times in college and high school! I came into college flying by the seat of my pants and while that definitely came in handy several times, it did have its downsides. If you know me then you know that I’m a big fan of making a goal and then having lots of little milestones to get me that goal. Once I realized that med school wasn’t for me, I knew in general that I kinda wanted to be a lawyer but I actually didn’t do much about that until the summer before my senior year (why I’m not surprised I had such bad luck applying to law schools). Honestly I think part of the problem was that getting in to college was pretty easy for me so I greatly underestimated the effort that it takes to get in to law school. I wish I had taken the time to figure out all of the little pieces that it takes to get in to law school and all of the little steps that I’d need to do along the way to get me there. I’m happy where I’ve ended up, but I do think I could’ve done a little more work in college to make the journey here way less bumpy. What you can do is to sit down and make a 5 year professional plan. Think of everything you would do if you can! It’s okay if some of this is a wish list and something that honestly might not happen. Then take that and figure out what’s most important to you and organize your list. Then try to come up with at least 5 things you need to do to make each thing happen (so if you want to go to law school, think like good LSAT score). Then look at those 5 things and think of any steps you need to make that happen. In the end, you’ll end up with your big goals broken up into small goals, and those small goals broken up into steps to do. Then give yourself a timeline or due dates to keep you on track. I actually really like the Passion Planner for doing this! If you do this at the beginning of every school year or semester, you’ll feel much more in control of chasing after your dreams. Before I got here, I had heard that the best way to success in law school is to treat it like I job and that’s one thing that I’ve learned is spot on! Now I know this is easier said than done because it’s not the norm in college, but try to at least try to be a good student. Learn how to convince yourself to go to class even though you have 10 other reasons not to go. 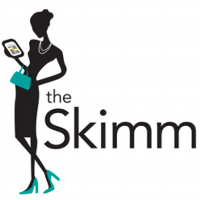 Learn how to take your laptop and only take notes on it, completely muting iMessage and avoiding Facebook/Pinterest/online shopping. At least read the summaries of the assigned chapter before you go to class so you’ll actually know what’s going on. I promise you that you will be so grateful that you did. Here’s the thing: I actually regret my degree. Not because I don’t like Spanish or anything, but because of how I ended up being a Spanish major. The truth is, I was in the honors college working to get one of their degrees, when I submitted my intent to graduate my junior year just like everyone else. I got an email back from my advisor letting me know that I was at least 3 semesters away from graduating since I was behind on my honors classes and there’s only so many offered each semester. At that point, my options were either drag out graduating for a year and a half or bump my minor up to my major. Basically it was a hot mess. All of this could have been avoided if I did a degree audit earlier and kept up with that better. I even have friends who have had the same problem and ended up graduating in August after they had already assumed they were graduating in May. Go to your advisors office often and make sure you stay on top of this. Even if it’s not required, still go visit your advisor and talk to them. When I went to see my advisor about switching my major, she was so helpful and even told me which professors to take because they were easier! I only had two jobs in college, and both of those were minimum wage retail associate positions. They helped me to have spending money, but that’s about it. Do you know how hard it was for me my 1L year to apply for jobs with no real job experience? I mean, I couldn’t exactly connect being a teller with being a summer associate because they didn’t have much in common besides “excellent people skills” and “trustworthiness around money.” I fully understand that everyone has to start somewhere and that I probably would have had these jobs anyways, but I wish I would’ve used what little experience I did have at these jobs to move on up in the world. I can’t explain how jealous you feel when you’re sitting in class and someone is talking about how they totally understand the foreign concept your professor is talking about because they had some experience with that in some way at their job. Remember, law school is a game and one way to get ahead is to come in with some life knowledge beyond just how to neatly fold and stack shirts. If I could, I would go back and tell myself to always be on the job hunt. I know job hunting is miserable but I missed up opportunities by being complacent with my boring job. Even if it’s still a typical part-time job, look for jobs where you can possible find a mentor (and hey maybe a rec letter on your worth ethic too). Look for jobs that will give you an opportunity to grow and gain some experience. Springboard what you have into moving up in the world and set yourself up for success once you get to law school and you’ll be so grateful that you did! I didn’t bother to get involved in the legal field before law school because I knew that I would figure it out on my own, but I wish I would have had some real life experience before I came so I could have some kind of idea about what classes would interest me and what jobs would be good to apply to. Make it your mission to learn about as many different areas of the law as you can so you’ll know more going in! Even if you do have to spend all summer working a paid part-time job for money and an unpaid part-time internship, you won’t regret doing it. And absolutely try to go hang out in a courthouse as much as you can! It sounds little, but you’d be amazed at what you learn. Trials are open to the public by law and if you tell them you’re a prospective or current law student, you’d be amazed at how the help give you a behind-the-scenes look. And all of these experiences are great to touch on in your personal statement to connect your own story and the law. I feel like such a big sister out here pushing y’all to learn from my mistakes haha! But I do hope that some of what I’ve said today will resonate with you and help you get your life just a little bit more together before you head off to become the Next Elle Woods. If you’re brave enough, I’d love to read what mistakes you realized that you made after graduating college!